I handcraft each one of these horses; they are cut and carved out of wood. No two are ever the same. My feathers come from sustainable bird farms. Most feathers are rooster or pheasant. 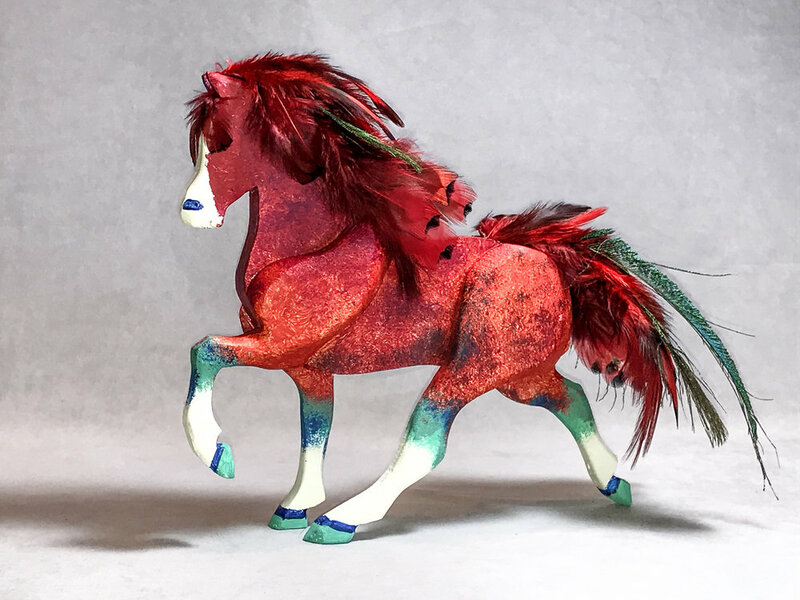 I began making these horses about 7 years ago. The first one was a memorial to a friend’s horse. I incorporated the mane and tail hair into the piece. I added a few feathers to give the mane and tail some movement. Since the first few, I have added different poses, and am always doing custom pieces. In addition to horses, I also make roosters, and chickens.